Projects Overview: All your project status at a glance. 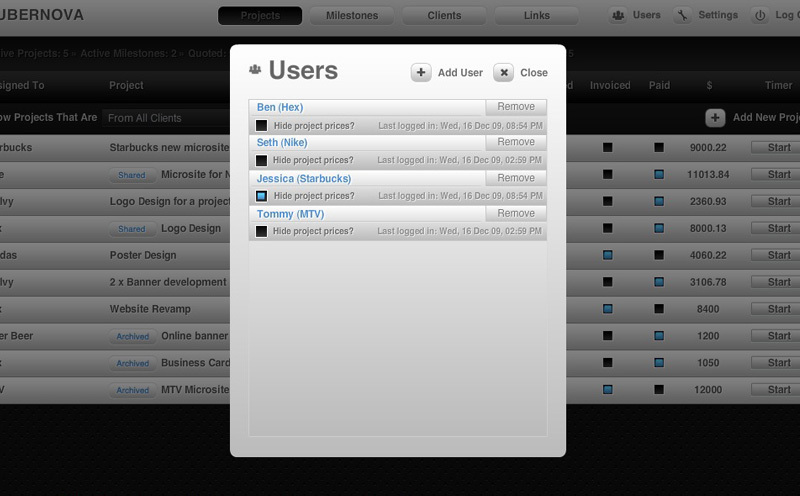 Share projects with your team/clients to collaborate on tasks, milestones etc. 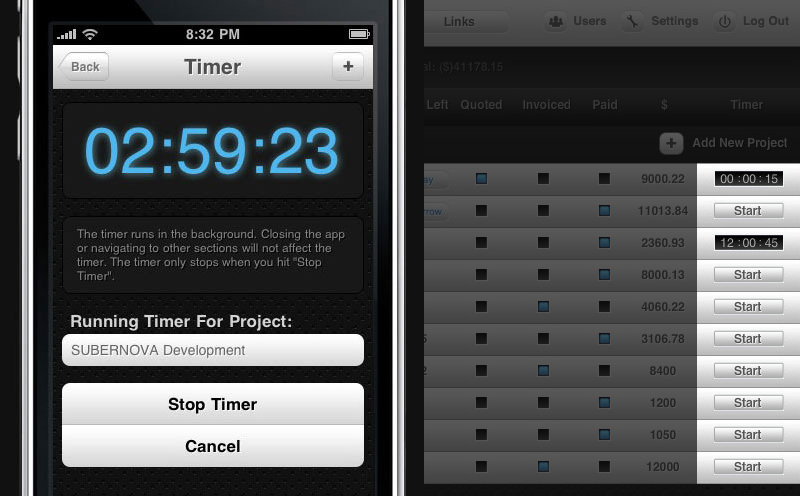 Time Tracking: An integrated timer to charge your clients by the hour or simply to charge for additional requests to prevent scope creep. 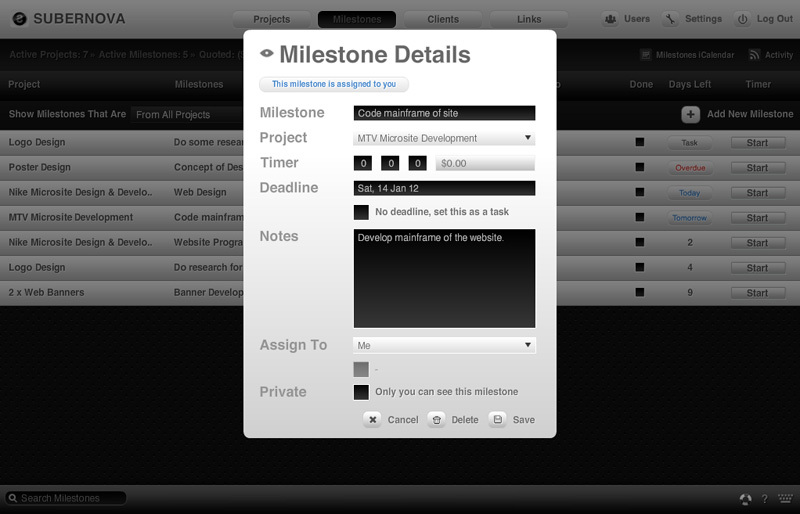 Milestones: Break down projects into manageable milestones and tasks, assign them to others or keep track of time spent on each milestone or task. 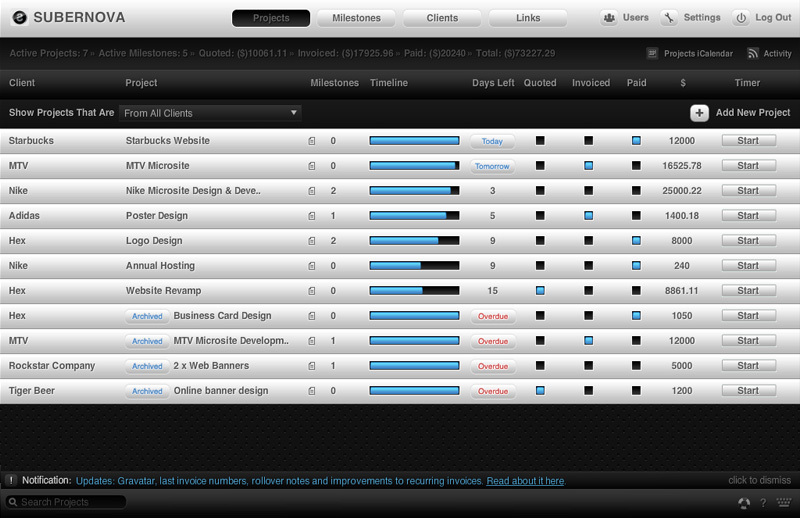 Schedule Emails To Clients: Need to follow up with a client at a later date? Don't wait till then, schedule an email now and forget. 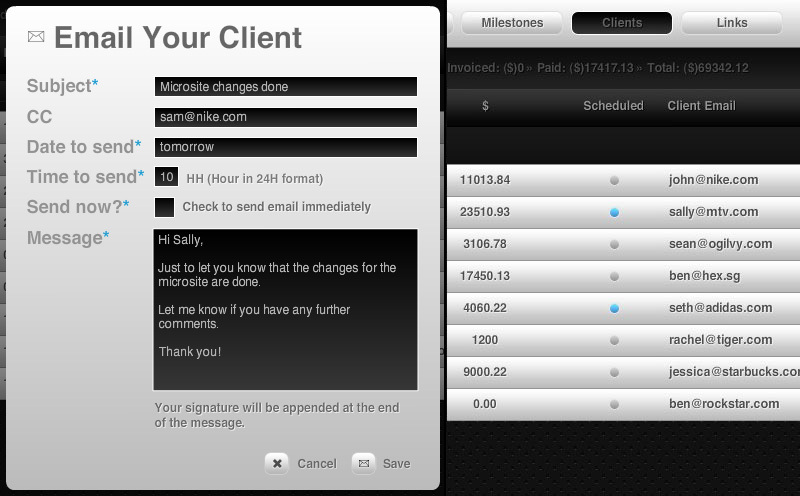 Create Invoices & Estimates: Spend less time creating invoices & estimates. Brand them with your logo and domain name. Collaboration: Let co-workers and clients track or create tasks with you so that everyone gets a better idea of where the project is heading. 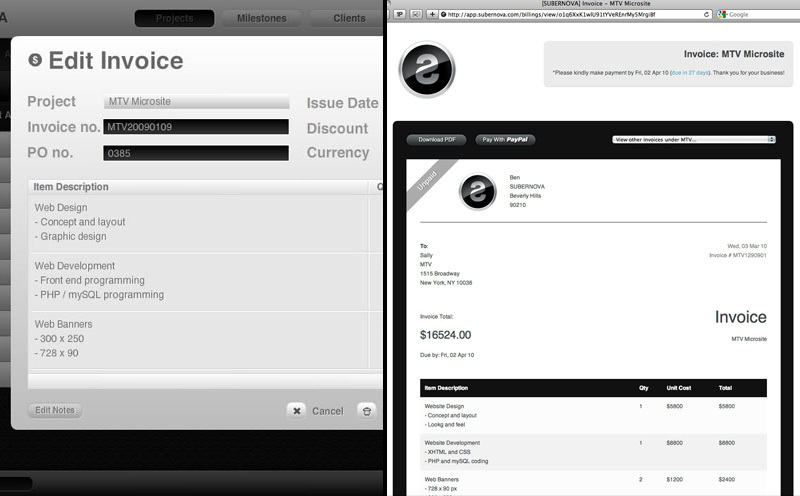 - Web.Appstorm.net Interface looks very sleek. - TheDesignCubicle.com SUBERNOVA is a game changer. - FreelanceFolder.com You really can't go wrong with giving SUBERNOVA a shot. - Workawesome.com It's nice to start your day not logging into a hot mess.